Posted by Admin | December 23, 2018 | RTS, Strategy. 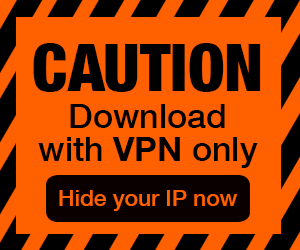 Chieftain Free Download PC Game Cracked in Direct Link and Torrent. Chieftain is a fantasy game of world conquest – containing elements of a procedurally generated 4X world, and real-time skirmishes including hundreds of soldiers on screen…. 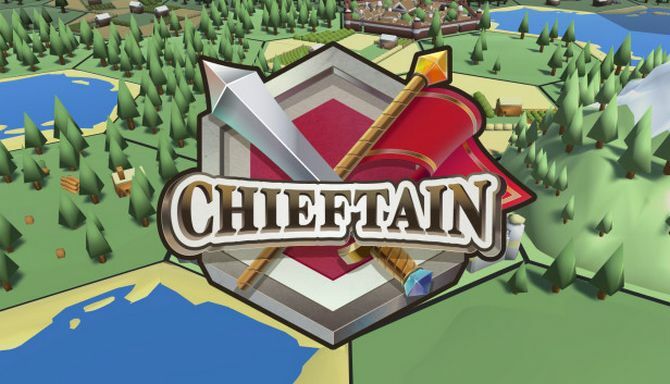 Chieftain is a fantasy game of world conquest – containing elements of a procedurally generated 4X world, and real-time skirmishes including hundreds of soldiers on screen battling for your dominion and reign to be supreme! – Choose from 7 fantasy races. – Each playthrough feels unique with a new procedurally generated world map. – Maintain a healthy economy, and purchase new troops for your armies. – Conduct diplomacy in worlds of up to 80 AI nations. – Conquer foreign lands, and defend your own from your enemies. 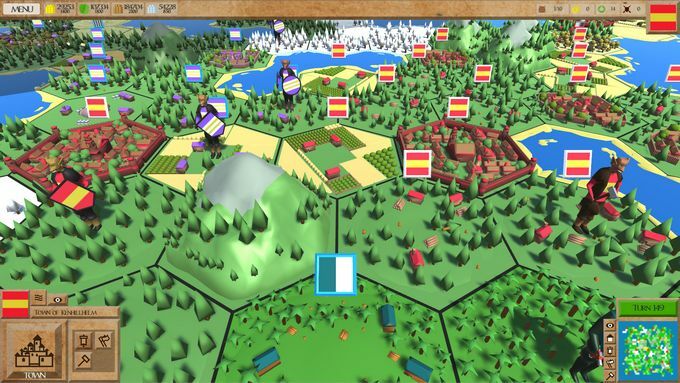 – Battles are conducted on procedurally generated maps. – Use tactical cunning to outwit your enemy. – Multiple unit types available, each with their own strengths and weaknesses. Your goal is to defeat all those in your way and conquer the world. Are you ready to become a Chieftain? 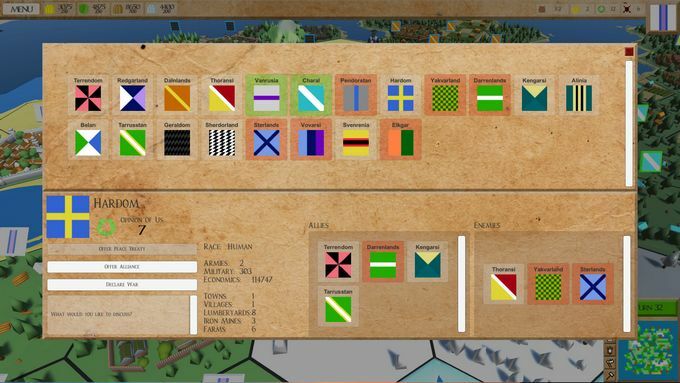 Create armies, settlers and builders to conquer the world map. Build farms, villages, lumberyards and iron mines for resources, or create a web of alliances and enemies to conquer them from others. Recruit different types of troop, everything from peasants to musketmen; each with their own strengths and weaknesses. The time will come to fight battles. When a battle is initiated, the game switches to Battle mode – and your troops appear on a battle map awaiting your orders. Use tactics to your advantage, use swift moving cavalry to attack your enemy from the rear, or cheap disposable peasants to keep your enemy occupied while you deal with their bowmen. Be careful! Once your troops are engaged in melee it will be hard to disengage them. Just like a real battle, your soldiers can become tired (dropping their speed), or become overwhelmed with fear, forcing them to flee the battlefield.